The Thai Journal Indexing Project, based at UW Libraries, is part of a cooperative initiative of the Committee on Research Materials on Southeast Asia (a sub committee of the Association for Asian Studies) to strengthen access to vernacular journal literature from Southeast Asia. This project has been funded for two years by the Association of Research Libraries, AAU/ARL Global Resouces Project. This UW pilot project uses scanning technology to capture an abstract, or an introductory paragraph of journal articles in Thai script. Searching access is provided by intellectual content analysis and transcription of names and titles into roman script. Other libraries cooperating with this project are: the Technical Information Access Center in Bangkok, the University of Wisconsin at Madison and the Center for Research Libraries in Chicago. This database will allow researchers to read enough of the article in the Thai script to determine if they wish to request a copy through interlibrary borrowing. There is currently no access in North American libraries to Thai journal indexing. Additional titles will be added to the list of those indexed at the UW. Other titles will be indexed by our partners in Thailand, Wisconsin and Chicago. 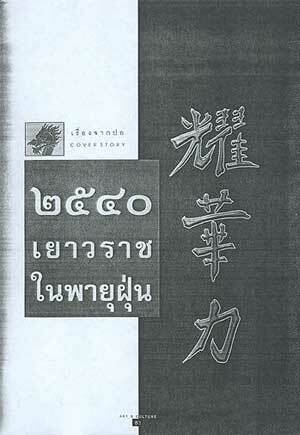 Romanization of Thai titles and names is based upon the ALA/LC romanization tables.